1 Hour Play for ONLY £75!! Hire Lincoln Fun Bus for a group of children to keep them entertained during the Summer Holidays. 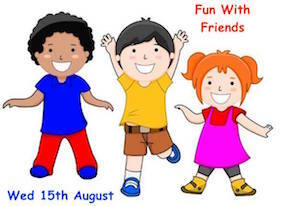 You can get together with a group of friends, neighbours, childminders etc. and share the cost of hire. You will need a suitable venue with toilet facilities and an electricity supply and we will supply the Fun! Usually our minimum hire is 2 hrs and costs £200. This special offer is for this date only and within 10 miles of our base. Up to 16 children between 3 & 8 years on board at any one time. Age guide is flexible but must consider the needs of the children. We will require a completed booking form and payment of £75 to confirm your booking.